« A website can benefit a small business. Your website is your home base for the online marketing efforts for your business. Your Pay Per Click campaigns, your Guest Blogging, your link building efforts all are bringing new visitors to your business website. Who wouldn’t want to join a group of people who are also interesting in improving their own online marketing skills, and sharing what they have learned so far with entrepreneurs in the Jacksonville, Florida area, at the monthly Jacksonville Online Marketing Meet Up? Who is the Jacksonville Online Marketing MeetUp for? How complex is the Information being Shared? The goal of the group has always been to help each other, from beginners and more advanced marketers, so that the information that is shared during the meetings will be helpful to as many members as possible. With each month’s topic, we try to help keep all attendees involved, covering the basic concerns of that topic, and sharing developments and changes that we’ve found. What are some of the Topics of Conversation? There is no fee to join the Jacksonville Online Marketing Meetup; we pay only for the meetings we attend. For most meetings there will be a ten dollar fee for the actual meeting, to help cover the costs of the meeting space, materials and refreshments. This is a bargain, and worth your investment. 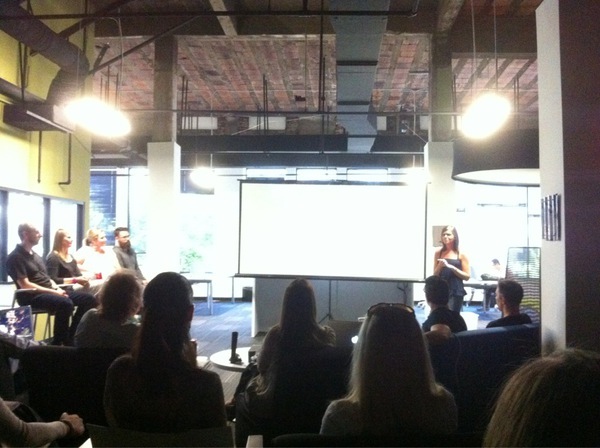 What should I expect for a typical Jacksonville Online Marketing Meetup? As the members show up, we have a brief opportunity to network. The group is usually a mix of people who have attended one of our meetings before, and people coming to their first Jacksonville Online Marketing Meetup. We have a few minutes for some light refreshments and sharing our recent online marketing experiences. .
Next is the structured part of the meeting where members share information covering a variety of related topics. The focus of the meeting features a presentation on a selected marketing-related topic, and then floor is opened up for discussion and questions. The goal of our group is to combine spirited, informative presentations and discussions with a relaxed and fun evening for the group. For more information on our group, check out meetup.com/Jacksonville-Online-Marketing. How do I Join Jacksonville Online Marketing Meetup? Follow this link: meetup.com/Jacksonville-Online-Marketing for more information on joining our group. Our Jacksonville Online Marketing MeetUp group is looking for Volunteers and Contributors. We are currently looking for volunteers and contributors to help promote and market the MeetUp. We are always looking for interested people to help the group grow and gain visibility. Please e-mail kenny@keytheory.com for more information on how you can participate. This entry was posted on December 19, 2012, 3:48 pm and is filed under Digital Marketing, Link Building, Social Media Networking, Website Development. You can follow any responses to this entry through RSS 2.0. You can leave a response, or trackback from your own site.